Stop giving away time! 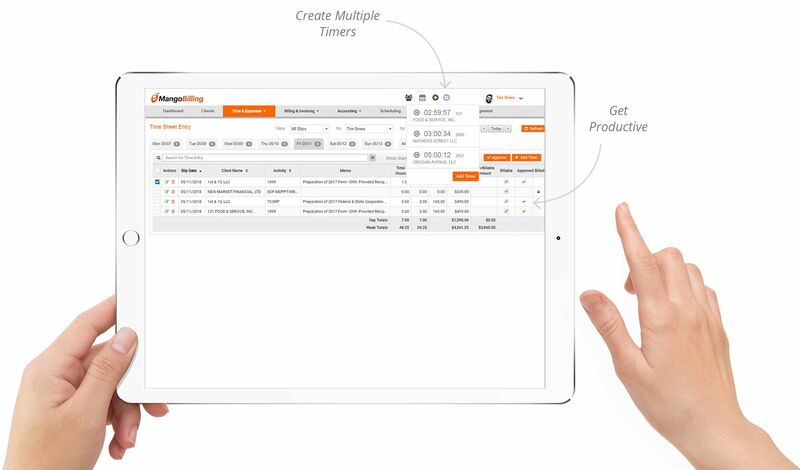 Start tracking time efficiently and accurately. Create multiple timers that can be started/stopped. Great for phone calls and starting a task to accurately record your time. Spreadsheet type entry to key in multiple time records by User. Expedites putting in multiple time records. Quickly enter time for clients over multiple days with less entry. See the entire week at a glance. Start and Stop as many timers as needed. Easily pause and edit time if necessary. 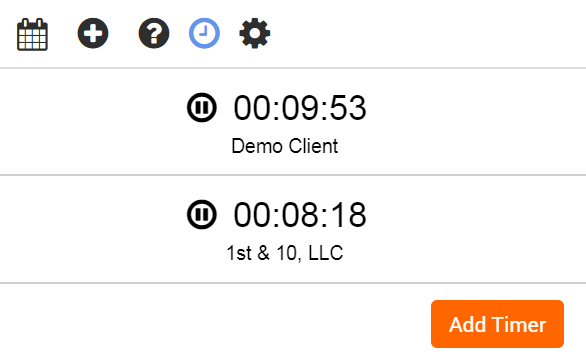 When finished with time tracking, simply convert the timer to a time record. No matter where you’re at a timer can be started so that you never miss recording time again! Need to add time or modify time, no problem! Just enter your time directly in the day and add a work description. A popup dialog allows you to enter a work description or private description. Great for entering time for the same client over multiple days of the week! Great for entering multiple time records and saving in batch. Newly added rows are duplicated from the preview row and the End Time becomes the Start Time. Optionally Show the Start/Stop Time. 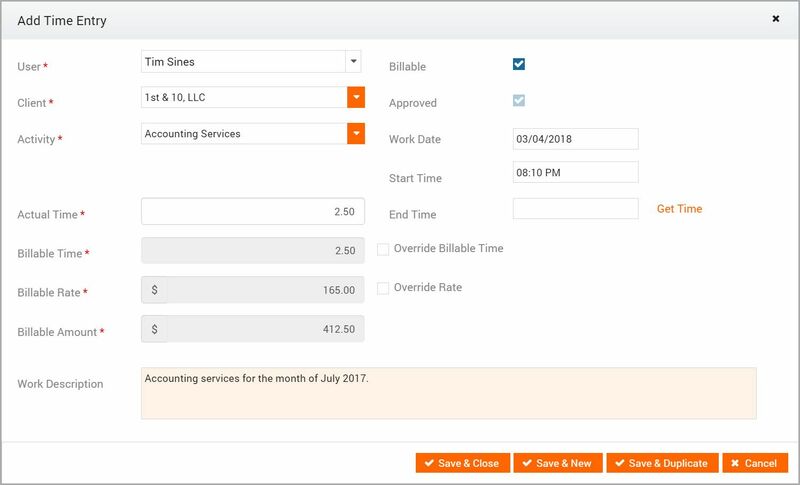 Hide the Billing Rate and Billable/NonBillable Amounts. Time is money. Lost time means lost revenue! Easily review daily and weekly time sheets for accountability.